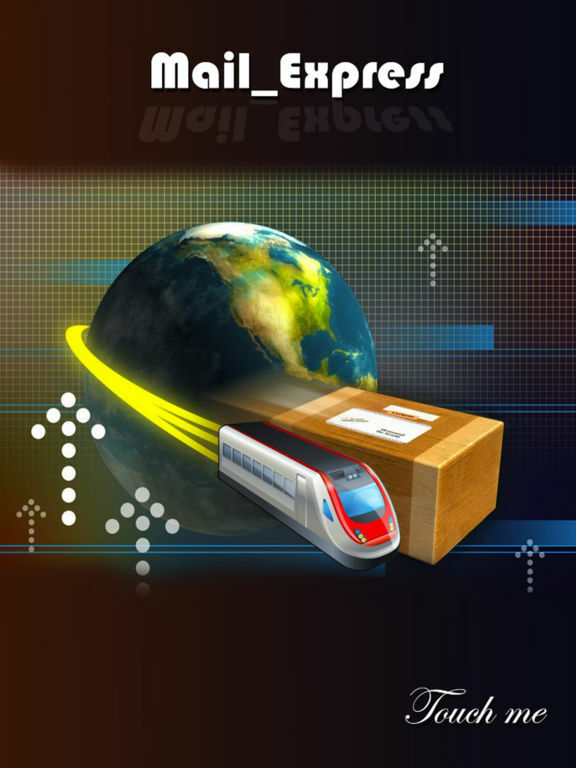 Mail_Express is a tool which is make easy your life style. 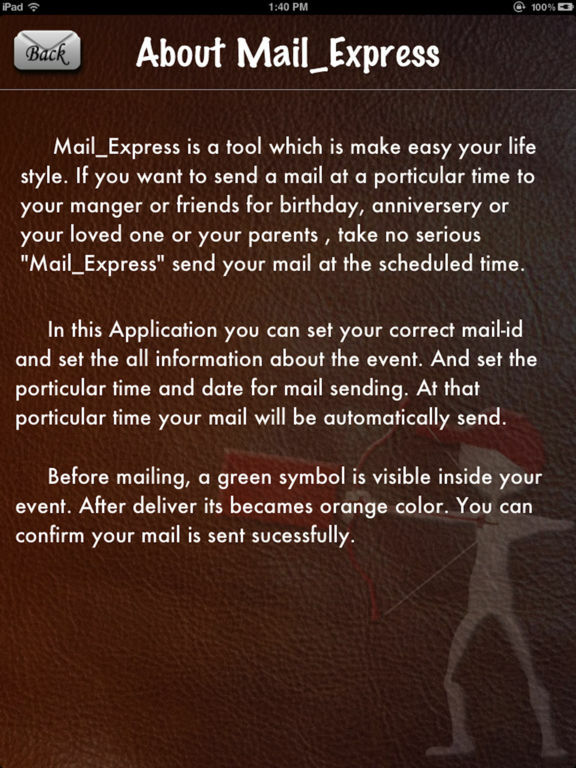 If you want to send a mail at a particular time to your manger or friends for birthday, anniversery or your loved one or your parents , take no serious "Mail_Express" send your mail at the scheduled time. 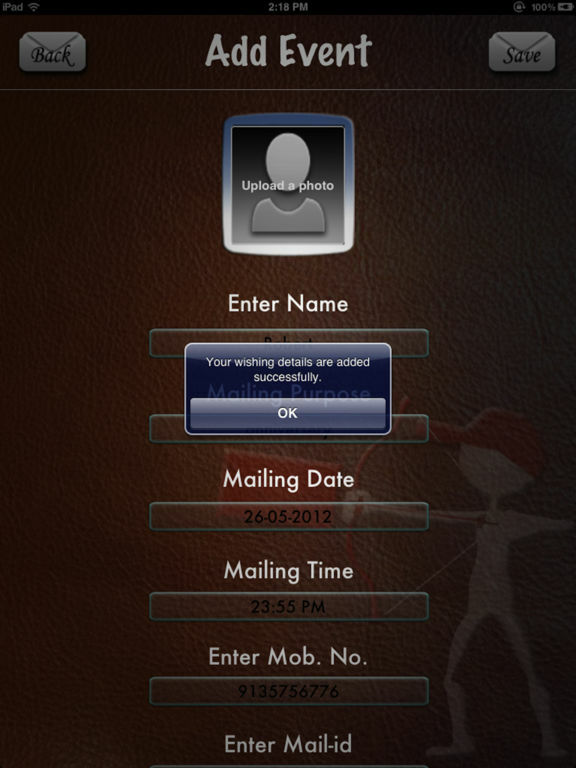 In this Application you can set your correct mail-id and set the all information about the event. And set the porticular time and date for mail sending. At that porticular time your mail will be automatically send. 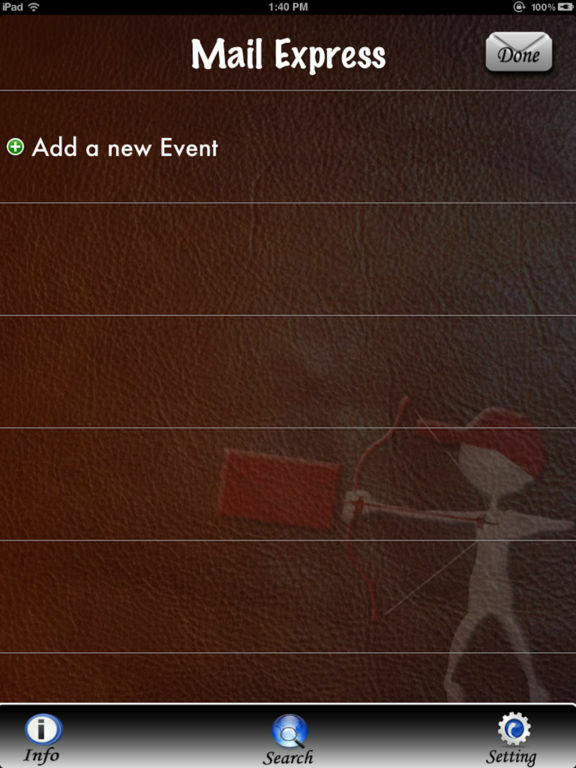 Before mailing, a green symbol is visible inside your event. After deliver its becames orange color. You can confirm your mail is sent successfully. 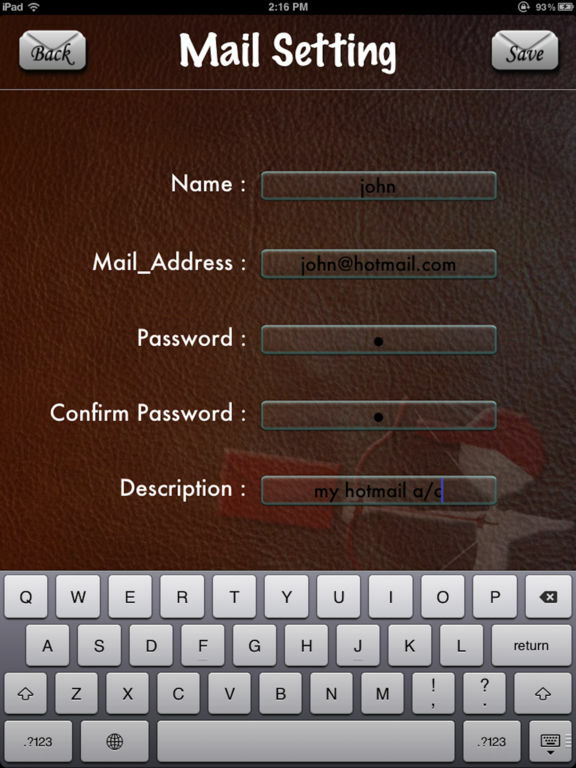 Updated the game to support for latest versions ..! !